I had anticipated a simple, straightforward interview on that afternoon, back in April. My subjects were two Xaverian nuns, members of an Italian missionary order with a community here in my home city of Worcester, Mass. Nine months earlier, three Xaverian sisters were gruesomely murdered in their convent in Kamenge, a suburb of the Burundian capital of Bujumbura. I wanted to know how the Worcester nuns, friends of the deceased, were coping. Did they struggle with bitterness, or rage? Had they experienced a crisis of faith? The brisk Q&A I imagined never occurred. Instead, I was introduced to a mystery as ominous and opaque as any John le Carré novel. The victims, Lucia Polici, 75, Olga Raschietta, 82, and Bernadetta Boggian, 79, were frail, Italian missioners with years of service in Congo and Burundi. On the afternoon of Sept. 7, 2014, Olga and Lucia were murdered, their heads crushed. Twelve hours later, Bernadetta met a similar fate, her head severed from her petite body. 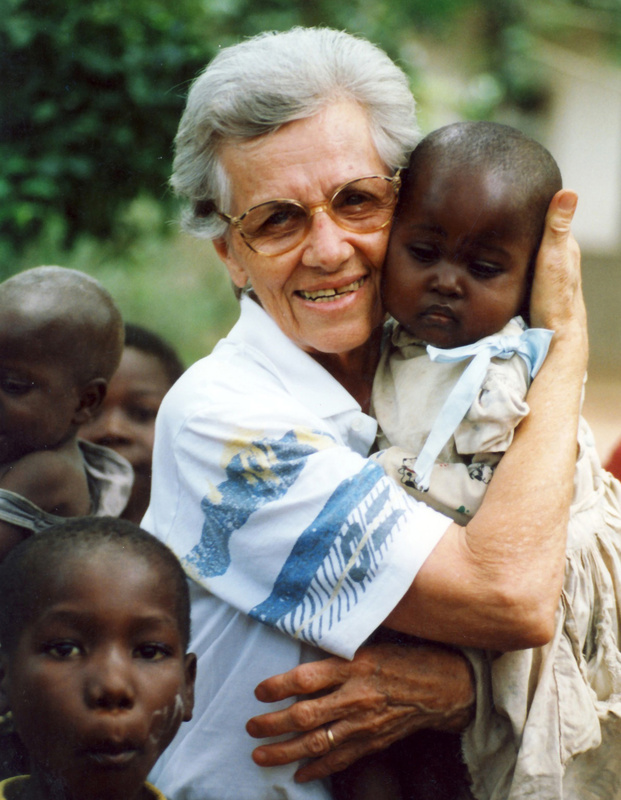 The killings shocked Burundians for the nuns were well known and well loved. Some Western observers mistakenly assumed they were victims of Islamist violence, unaware that Muslims are the minority in Burundi, the most Christianized state in Africa. Catholics account for 60 percent of the population and Protestants 25 percent. During the country’s recent civil war, some Muslim communities, remaining neutral in the interethnic violence, provided sanctuary to families displaced by warring Christians. Within days of the crime, the police arrested a mentally handicapped man from Kamenge, an improbable perpetrator of a triple murder that appeared to be the work of professionals. Last February, a radio confession by a man claiming to be one of three people hired to kill the nuns implicated a government official, who was later gunned down by men carrying military weapons during the turmoil that followed Burundian President Pierre Nkurunziza’s controversial re-election to a third term. “We realize that we are in something that is bigger than us, but we do not know why,” the Worcester sisters told me. After the interview in April, I became intrigued with Burundi, a poor and geographically beautiful country located in the Great Lakes Region of central Africa. Bedeviled with ferocious conflicts between its Tutsi minority and oft-oppressed Hutu majority, Burundi is also a place of extraordinary faith, as evidenced in Zacharie Bukuru’s book, We Are All Children of God: The Story of the Forty Young Martyrs of Buta-Burundi. Here is a tale of mystery, the mystery of faith in fraternal love that perseveres beyond the brutalities of the day. The book tells of an attack on a Catholic boarding school where Bukuru served as rector. During Burundi’s civil war (1994-2005), St. Paul Minor Seminary, popularly known as Buta, is both a beacon of hope and place of desolation. Bukuru works devotedly to cultivate a culture of peace among his Hutu and Tutsi students, and many come to embrace wholeheartedly his message of co-existence. When marauding Hutu rebels invade the school and order the students to self-segregate—Hutus on one side, Tutsis on the other—the youths refuse. Forty are killed and many are wounded. Bukuru is a dispassionate and poetic storyteller. The distance of years and his own deep faith enable him to tell a tale of wanton violence and loss without bitterness. Instead, a nourishing tenderness runs throughout his story, a tenderness for the youth whose lives ended prematurely, for Burundians, so desperately in need of examples of reconciliation, and for all who hunger to know if love really can outlast violence’s devastation. A desire to set the record straight, as well as inspire, motivates this narrative. As with so many events in war, there are partisan versions of the attack at Buta. (One account actually claimed seminarians fired on fleeing soldiers!) Bukuru gives context with a brisk history of Burundi, a former monarchy under Belgium rule for much of the 20th century. The country’s independence in 1963 was followed by a succession of military coups among Tutsi elite that provided little benefit for the excluded Hutu majority. In 1972, after a fierce anti-Tutsi rebellion in the south, the government killed an estimated 300,000 Hutu males and members of the Hutu elite. Burundi has yet to reckon with this massacre, Bukuru notes. The 1993 assassination of a democratically elected Hutu president pitched the country into full-scale civil war. Hutu and Tutsi militias, many of them refugees from 1972 and the war in neighboring Rwanda, roamed the countryside wreaking havoc on the population. Amid this convulsion of inter-ethnic violence, Bukuru strives tirelessly to cultivate fraternal harmony among youth from both communities. He offers cultural and recreational activities, and, most significantly, carefully facilitated evenings of dialogues where students, burdened with deformed understandings of the past, could pour out “all the hatred mixed with fear” held deep in their hearts. “This dialogue gave us relief,” Bukuru writes. “It healed us.” Reading of his approach, I thought of the many divided communities around the world that could benefit from such honest unburdening. For all his striving, the good rector cannot keep the war at bay. Early on the morning of April 30, 1997, Hutu rebels fire on the school from the surrounding hills, then swarm the senior dormitory, shooting at the students within for several hours. The teacher, who once promised to protect his students “whatever arose,” is trapped in his house behind a firefight, hiding beneath a grass mat. We who know war remotely can delude ourselves into thinking death is somehow less horrible for those who live in places of constant violent conflict. It is not. The terror felt at Buta is amply recorded here, which makes its example of faith all the more compelling. In the Christian tradition, a martyr is one who gives witness to the truths of the faith at the cost of his or her life. Citing the observations of an Italian theologian, the American writer Lawrence Cunningham once noted that unlike the ancient martyrs who died in odium fidei (because of hatred for the faith), contemporary martyrs like Maximilian Kolbe and Óscar Romero, killed by fellow Christians, died in odium amoris (because of hatred for love). The latter category applies to the martyrs of Buta, whose assailants energized themselves for killing sprees with hymns to Jesus. Refusing to segregate, the seminarians gave witness to the truth that we are all children of God. They gave witness to the durability of love. But tales of martyrs invariably confound and sometimes feel suspect. Are they narratives we construct to cope with unfathomable cruelty? Who knows, for sure, if all 40 students killed on that fateful April morning “chose” death? Maybe in those final moments, as blood and breath seeped from their bodies, some desired desperately to live. And yet, significant witness continues to emanate from Buta. Remarkably, the assault did not shutter the seminary. Bukuru and his students returned to finish the school year and build a shrine to the Martyrs of Fraternity, a sight of pilgrimage for Burundians and internationals alike. And what of the witness of the former rector, the survivor forced to see the vicious undoing of his project in fraternal love? Commissioned by his bishop to give a “full account” of the events at Buta, he first wrote his story in Kirundi, the native language of Burundi, in 2003 when the country was still in the grip of a civil war. The book’s French translation appeared in 2004. An English translation was released last summer. At the time, Burundi was tense from the violence that preceded the controversial presidential elections and took the lives of 200 people. (Some observers believe the killing of the Xaverian nuns was a precursor to these events.) Despite the difficult climate, 100 people showed up and asked penetrating questions about forgiveness. Of course, Bukuru was there. He had come up from Mary Queen of Peace, the monastery he established at Buta, where he continues to cultivate young men of peace, prayer and fraternal love. The good rector has not left his students, after all. "Bukuru gives context with a brisk history of Burundi, a former monarchy under Belgium rule for much of the 20th century." To be clear, Burundi was never a colony of Belgium. It was a German colony until after World War I, when it became a League of Nations Belgium mandate. After the second World War it was a United Nations Trust territory administered by Belgium. For the the difference between being a Belgium colony (e.g. the Congo) and a Belgium mandate, I recommend Susan Pedersen's book, Guardians: The League of Nations and the Crisis of Empire. This article also appeared in print, under the headline "United in Death," in the December 7-14, 2015 issue.